¿Do you want to give natural beauty to your home? 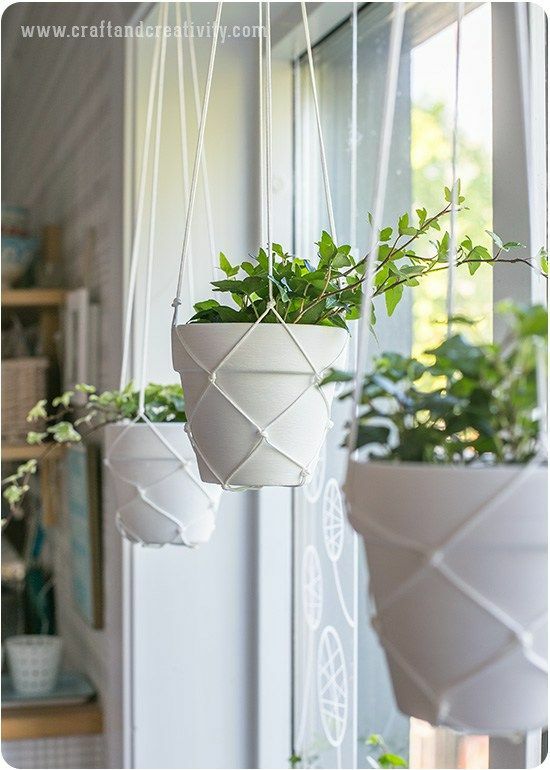 You will love this idea: simple macrame hanging planters. I was looking for an idea to add plants in a small hall. A hanging ornament that includes color and plants, I gave with this DIY proposal and I found it very interesting. This macramé accessory can be integrated in any corner of the house. A living room, kitchens and bathrooms, dining rooms and hallways too. The important thing is that the plants receive natural light. The macrame technique of this handmade project is very simple, so you can surely do it. Stick to the trend of macrame in decoration, add nature to your home and get down to work! In this link I show you another idea to decorate an interior with cut flowers.